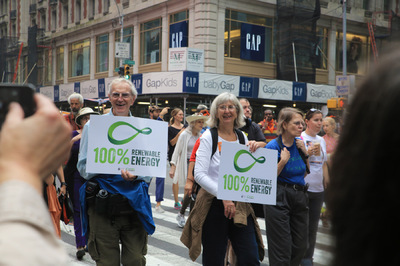 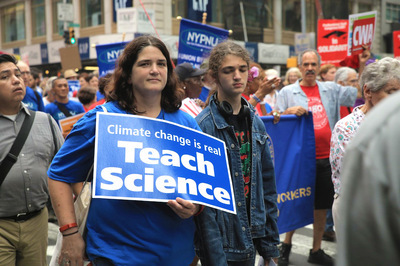 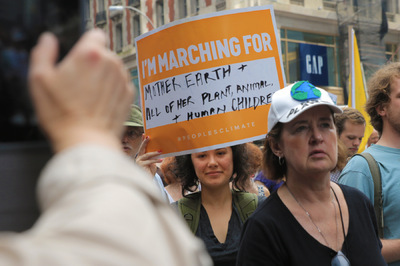 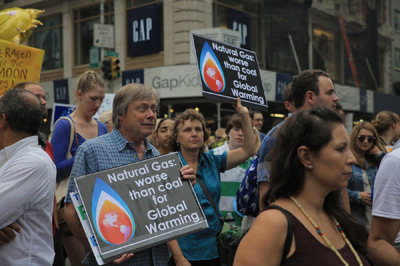 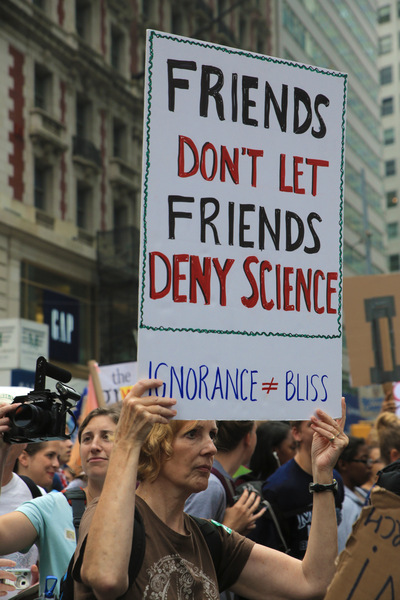 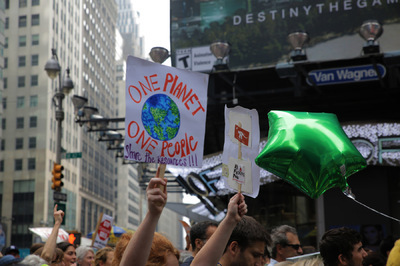 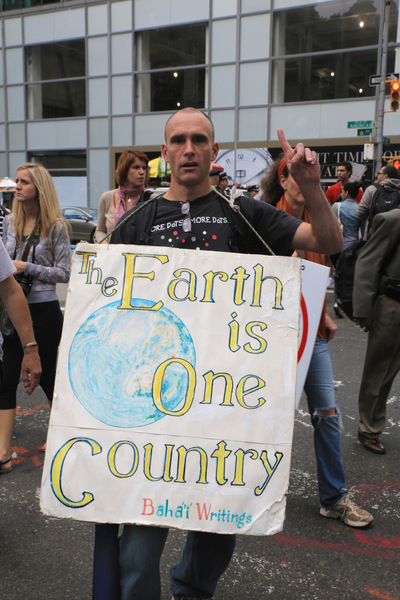 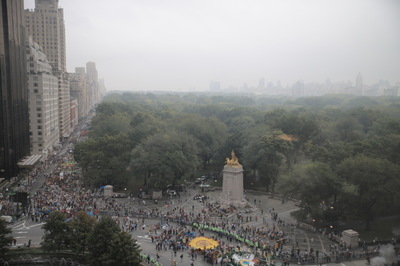 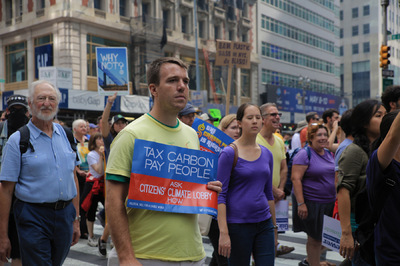 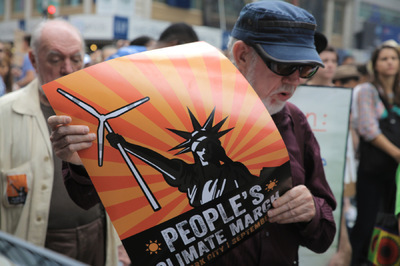 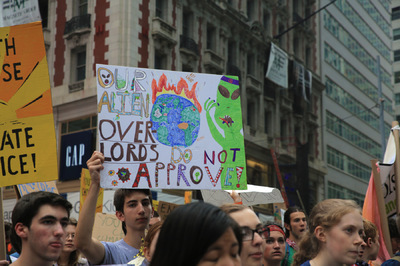 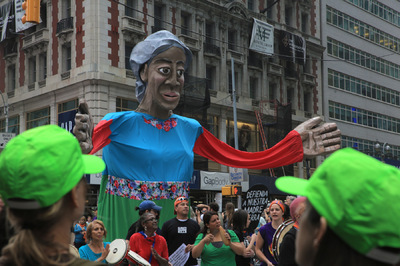 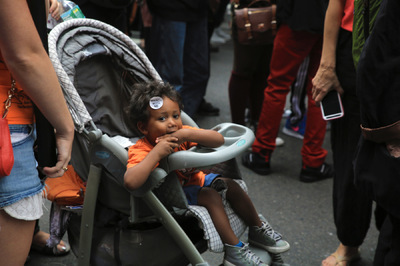 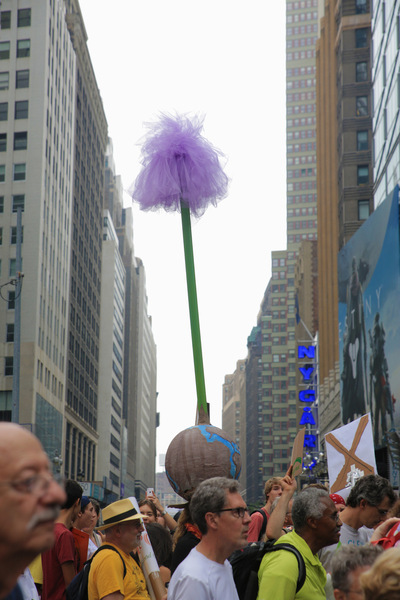 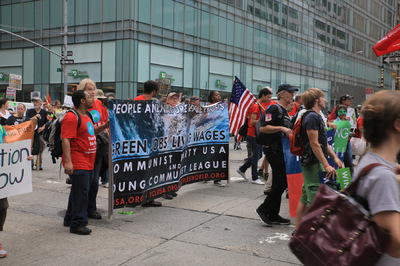 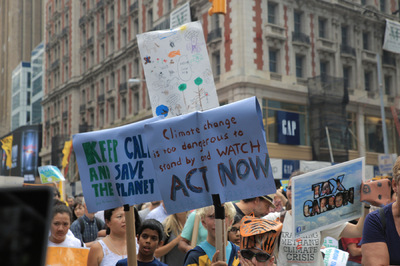 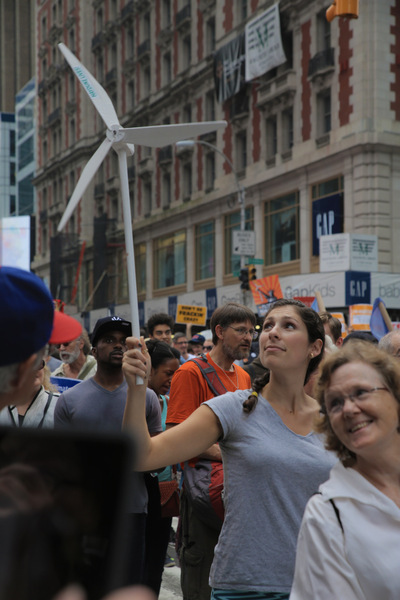 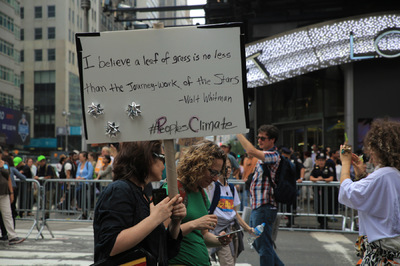 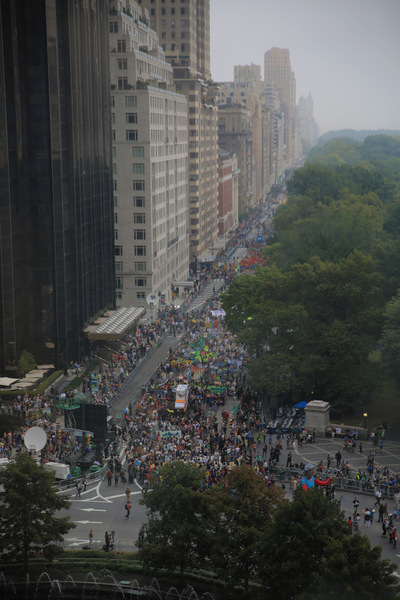 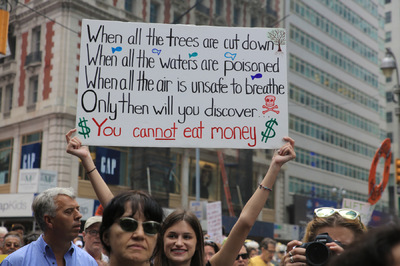 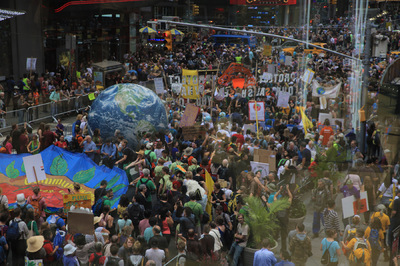 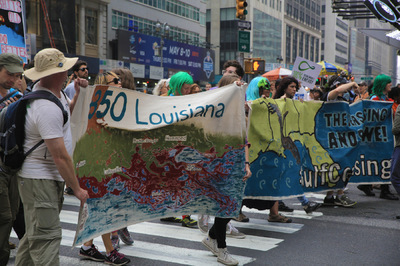 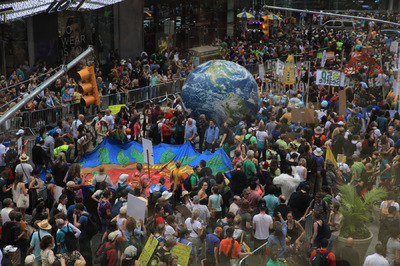 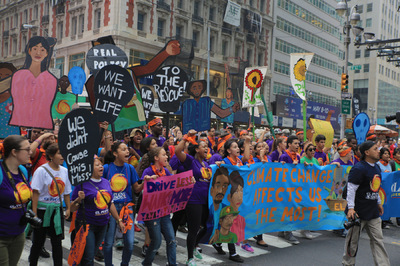 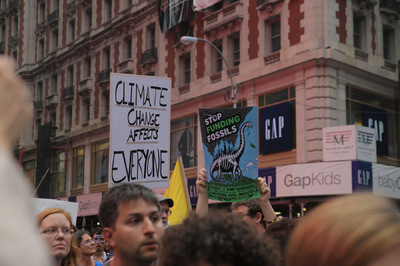 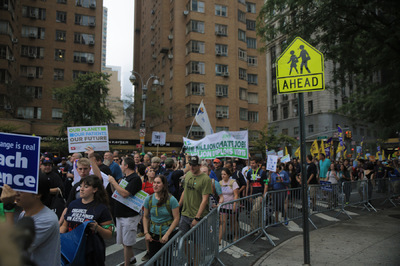 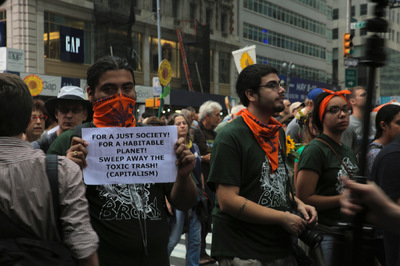 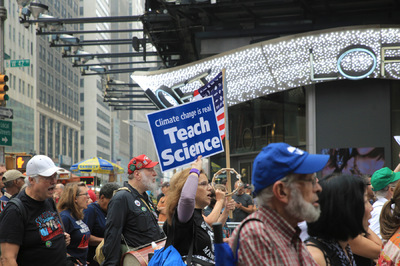 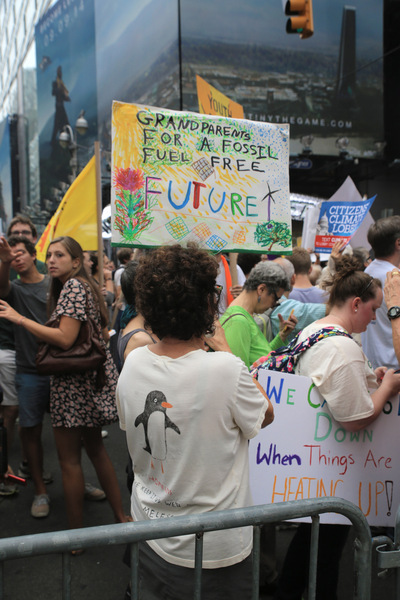 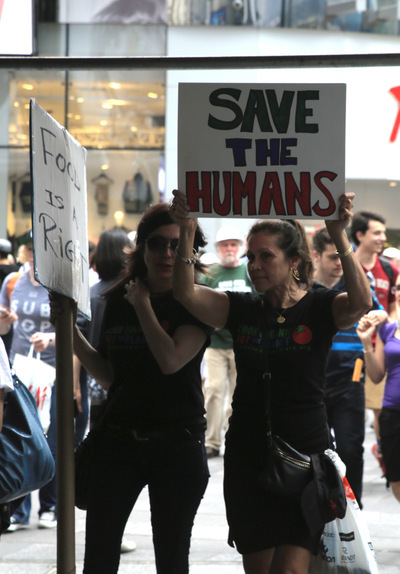 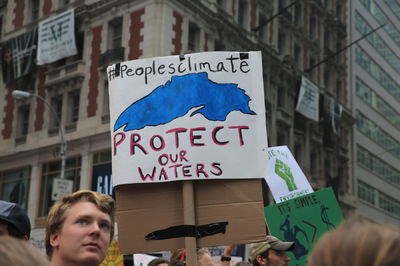 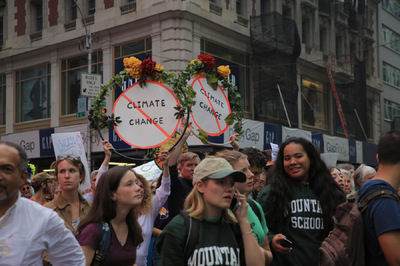 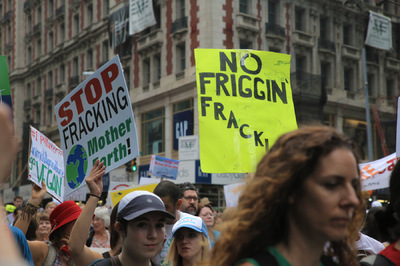 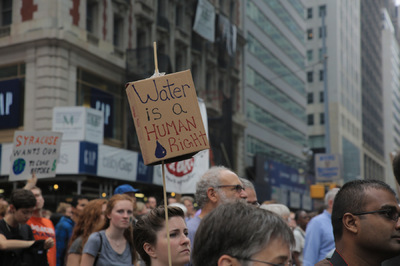 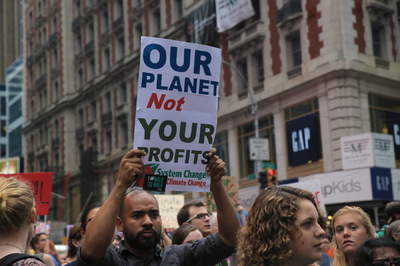 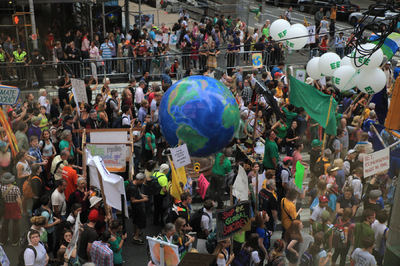 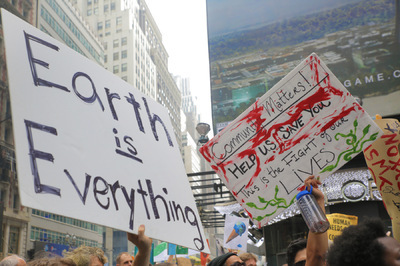 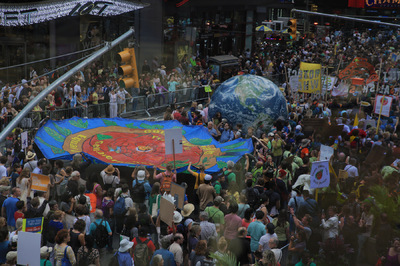 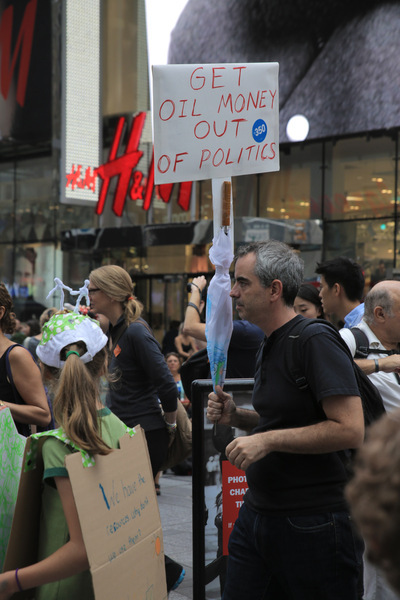 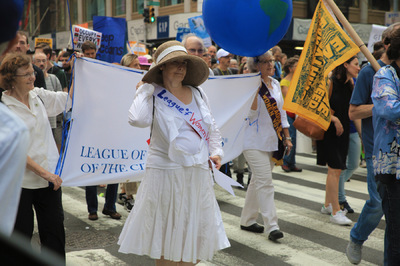 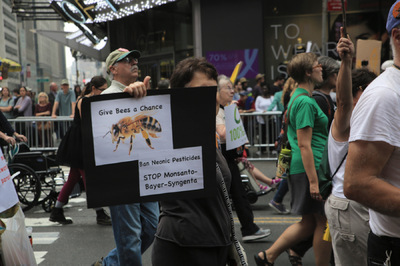 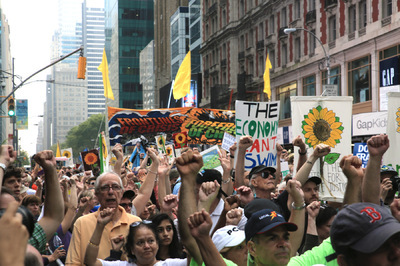 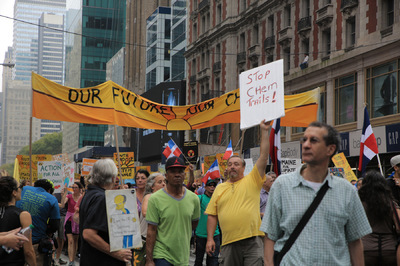 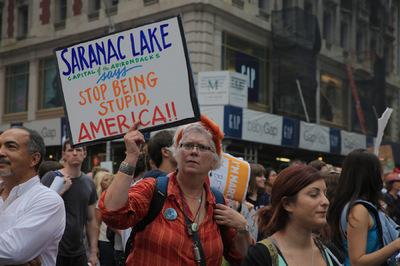 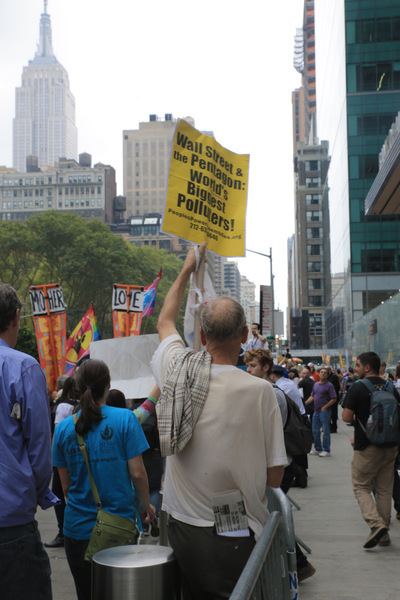 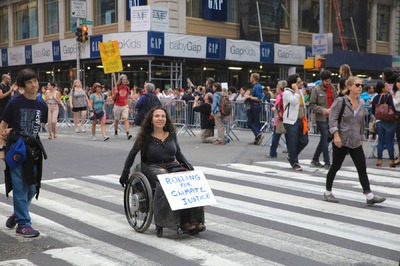 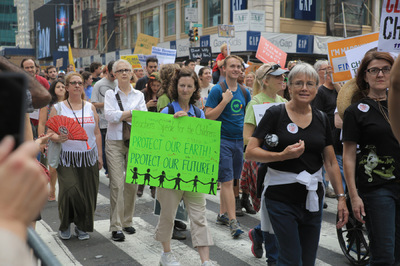 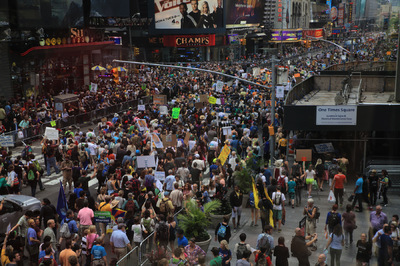 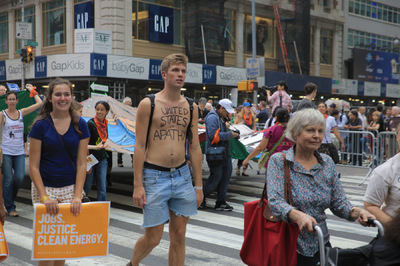 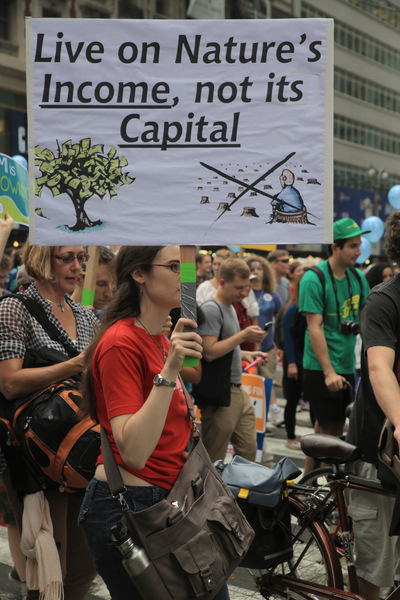 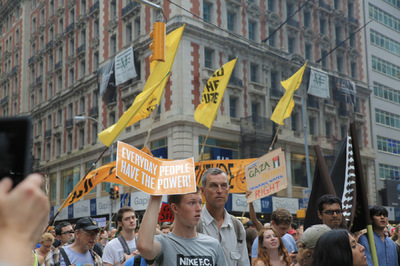 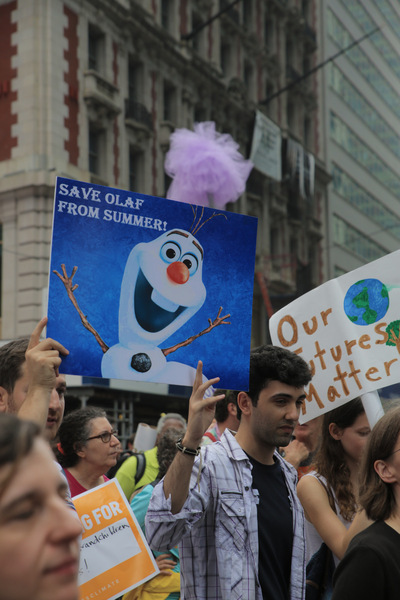 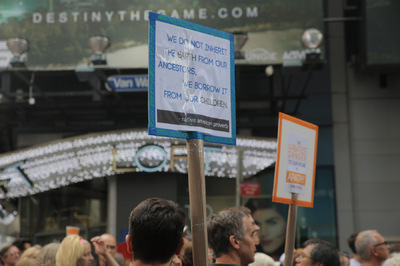 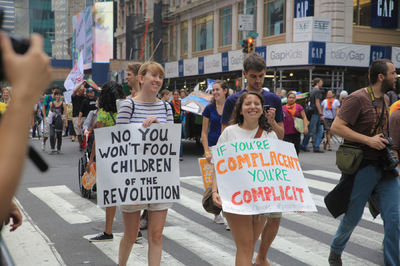 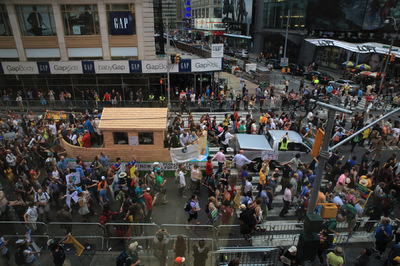 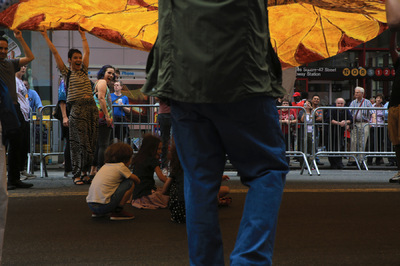 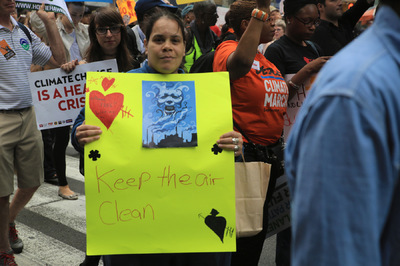 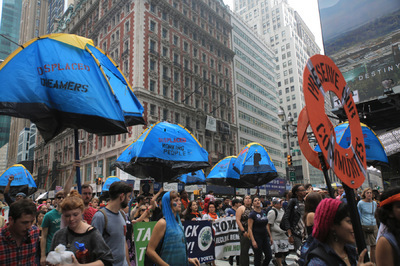 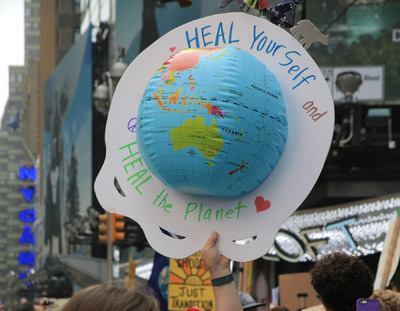 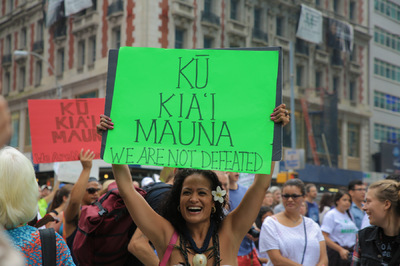 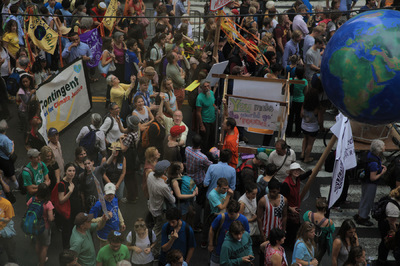 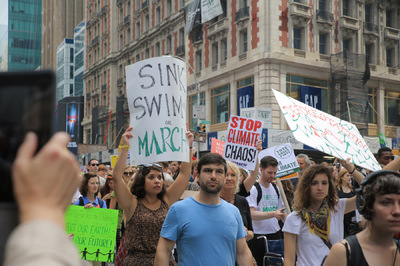 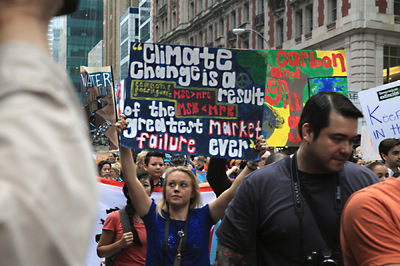 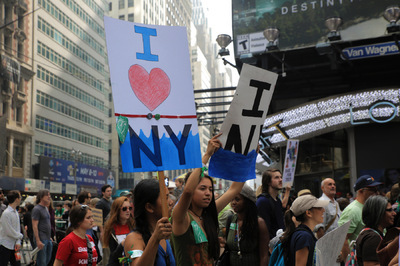 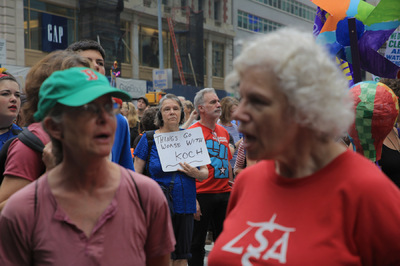 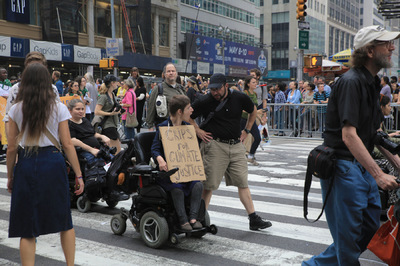 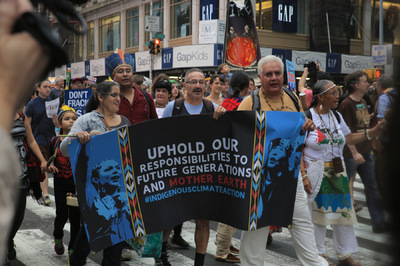 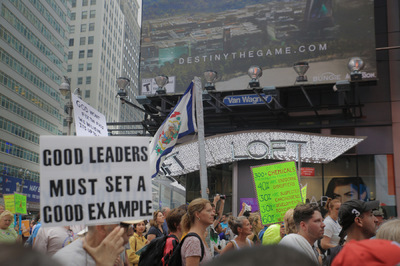 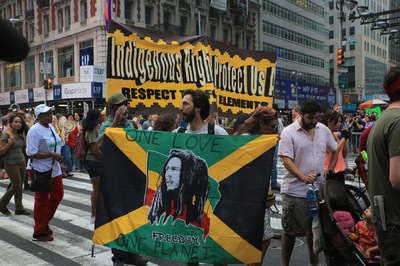 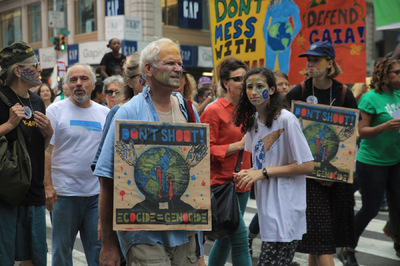 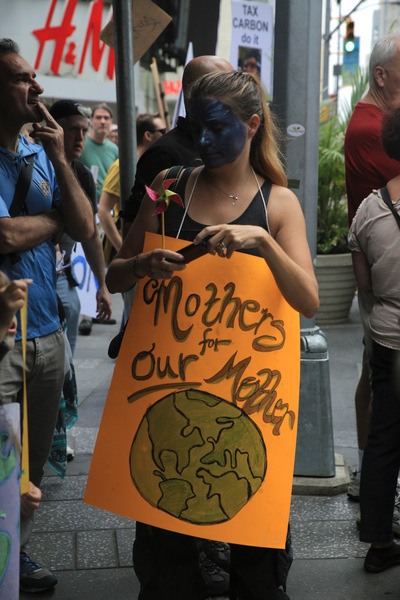 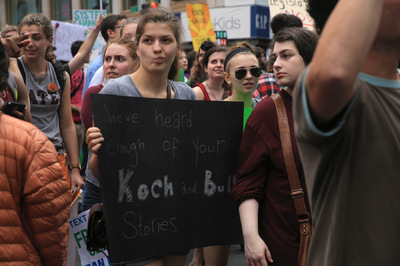 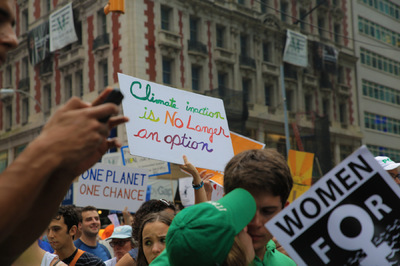 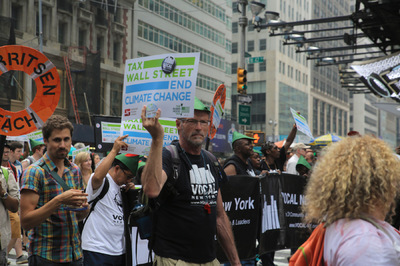 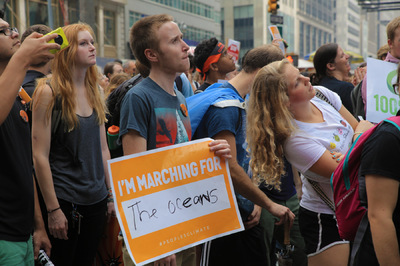 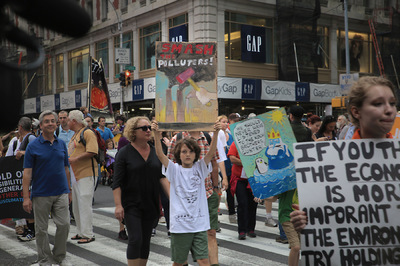 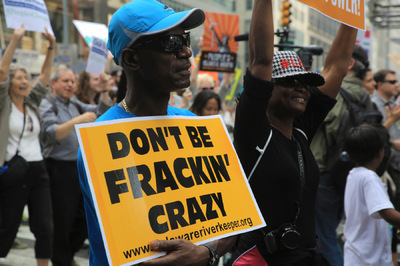 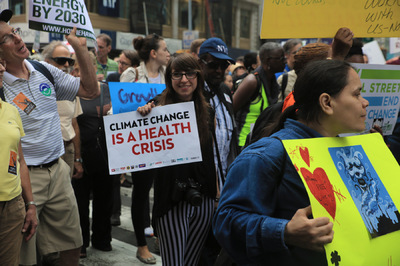 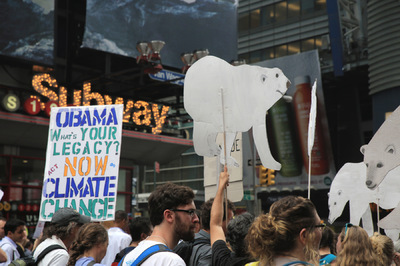 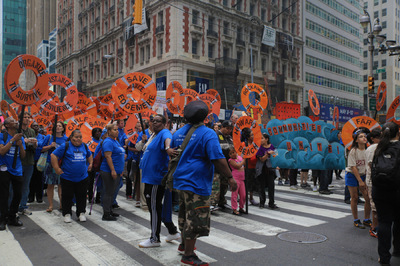 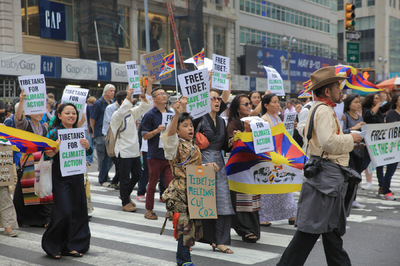 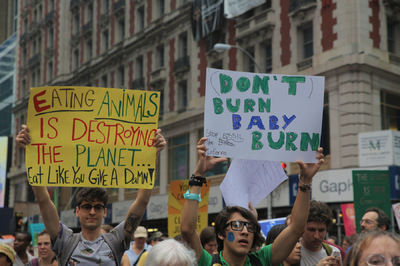 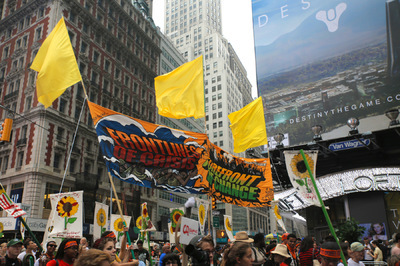 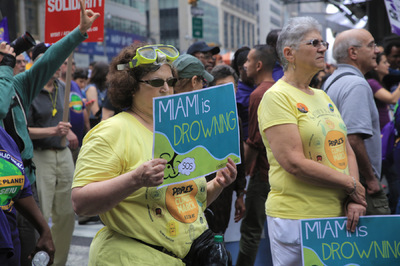 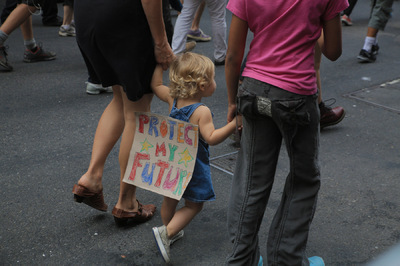 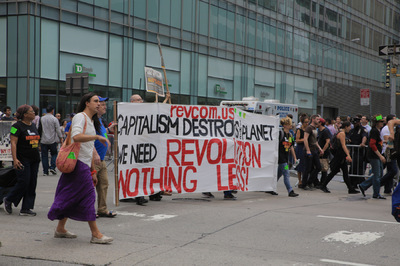 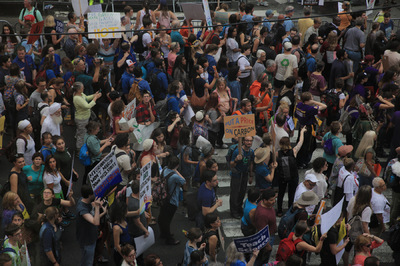 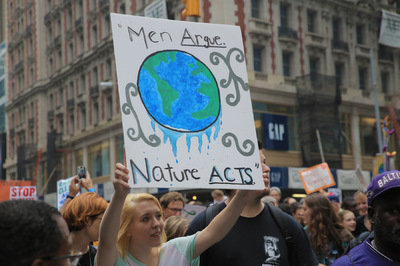 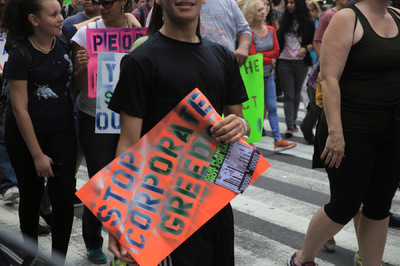 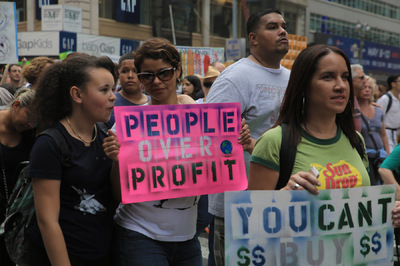 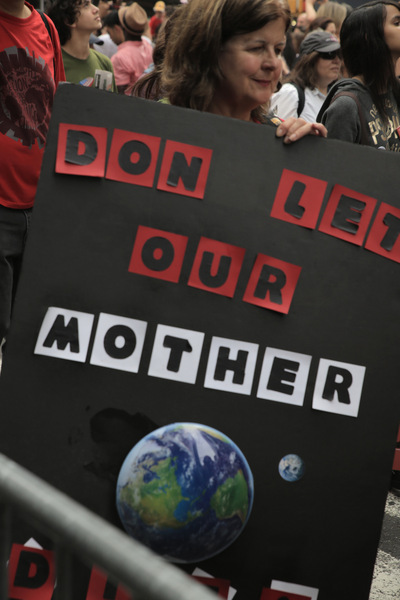 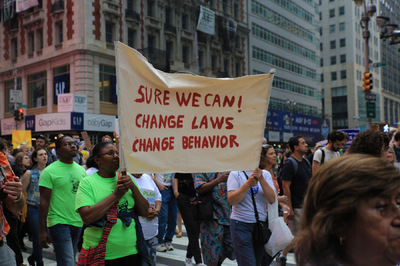 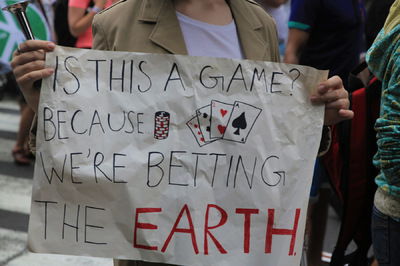 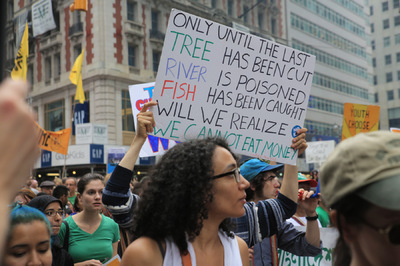 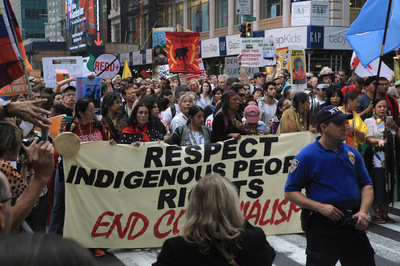 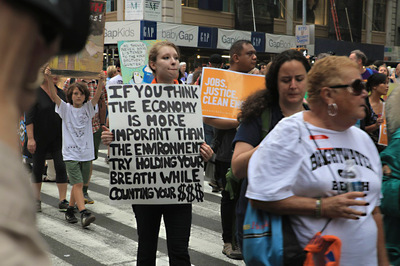 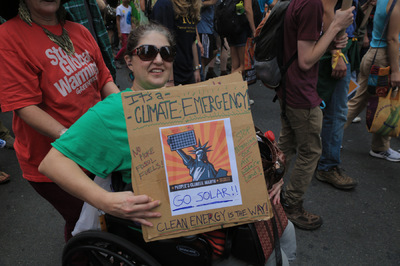 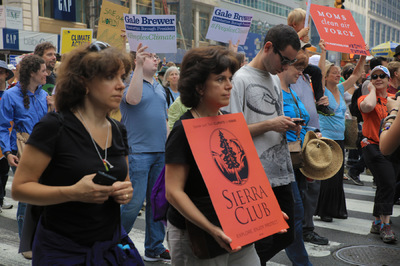 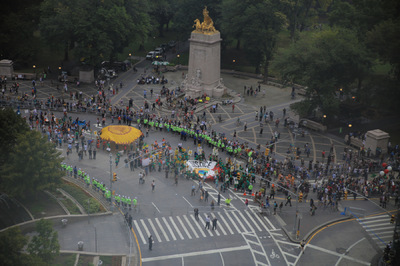 On Sunday, September 21, 2014, an estimated 400,000 people participated in the People’s Climate March in New York City, which coursed for 2.2 miles from the upper west side, through Columbus Circle, on to Times Square and over to the far west side. 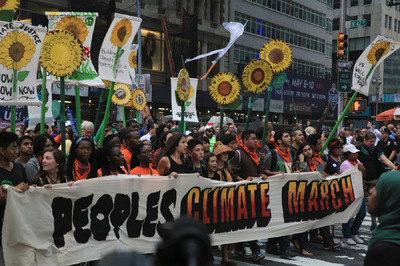 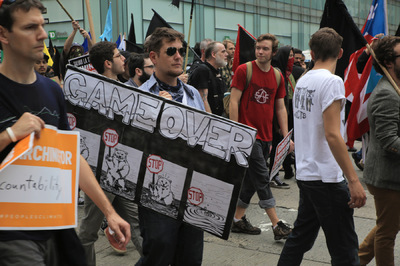 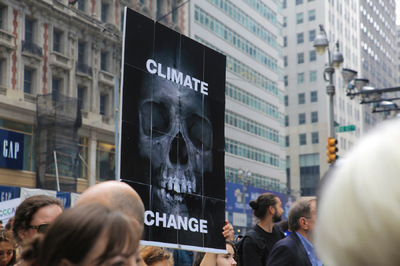 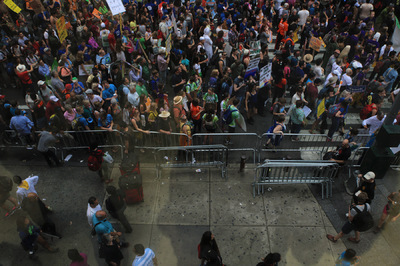 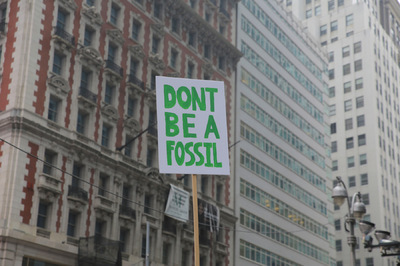 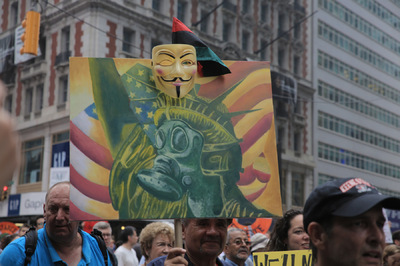 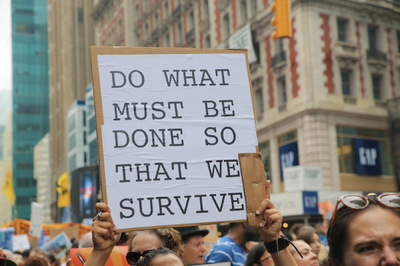 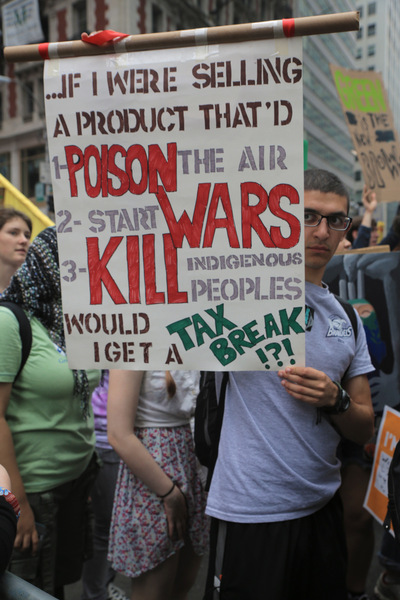 It was the largest climate demonstration in history and the largest mass action in New York since the anti-Iraq war protest in 2003, which was also coordinated protest and involved more than 600 cities. 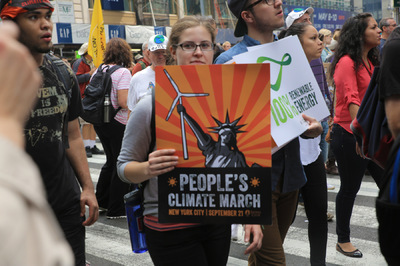 Timed to take place just before the UN Climate Summit, the People’s Climate March was an international effort to bring world leaders to action. 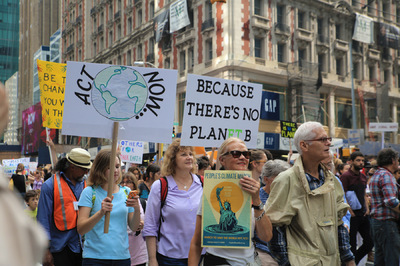 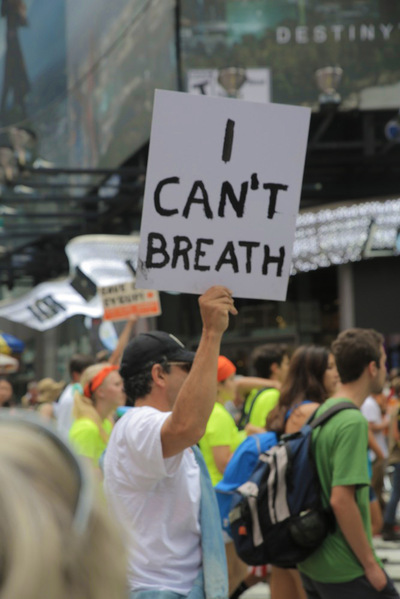 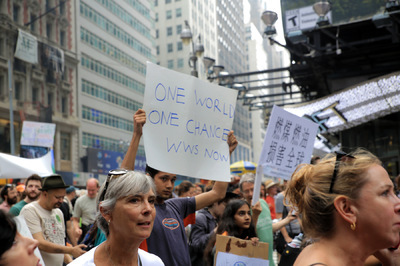 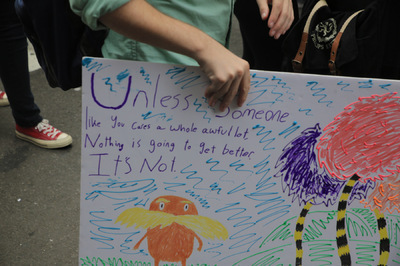 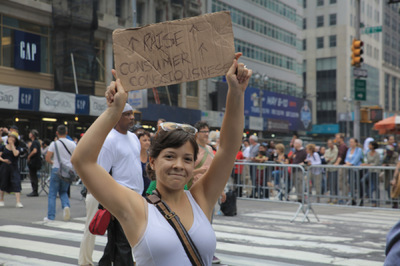 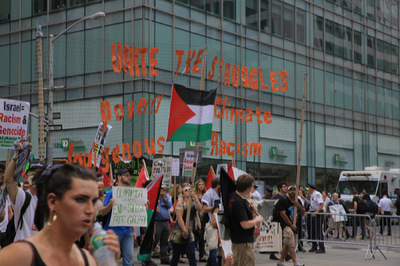 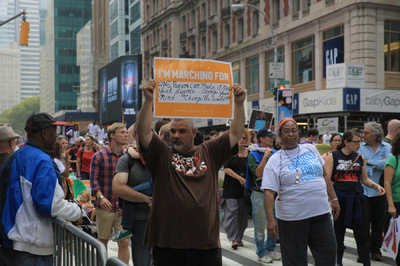 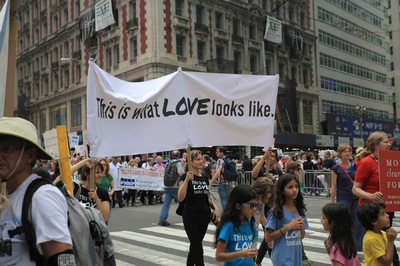 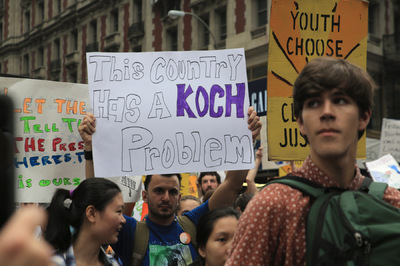 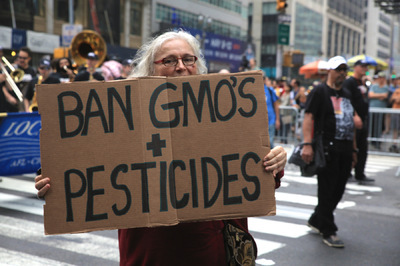 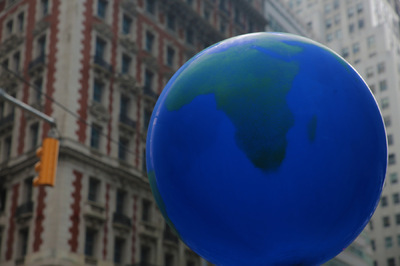 The New York march was 1 of 3,000 events taking place in 166 countries around the globe. 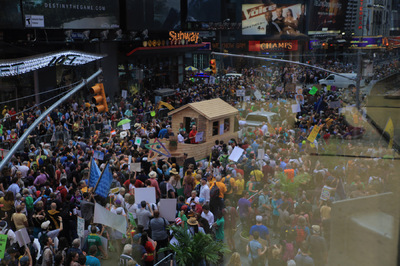 They joined in solidarity and in satellite projections on a mega-screen in Columbus Circle. 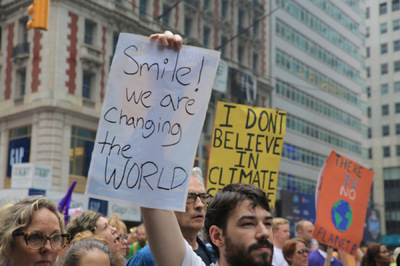 “The world is rising” the New York marchers said, and it did in a big way in London, Berlin, Amsterdam, Stockholm, Madrid, Rio and seven cities in Australia. 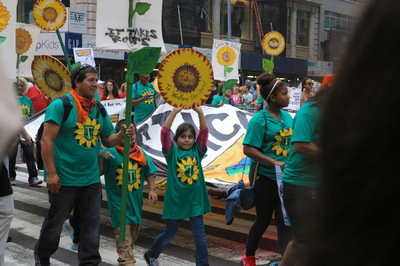 The Climate March was a coordinated action called for and attended by the secretary general of the United Nations, Ban Ki-moon. 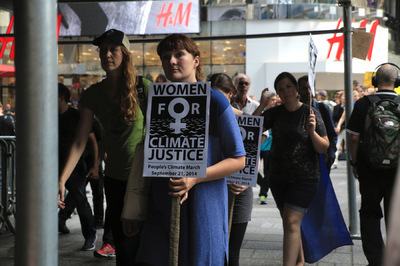 Attendees also included Vice President Al Gore and Leonardo Di Caprio (the newly designated UN Messenger of Peace) in response to the urgent need to address the climate crisis and global strategy to cut carbon pollution. 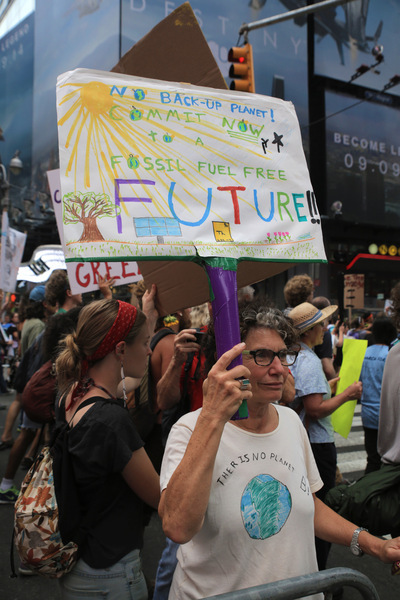 There were uneasy conversations among the crowds about the newly released National Oceanic and Atmospheric Administration (NOAA) report that stated 2014 had just become the hottest year on record. 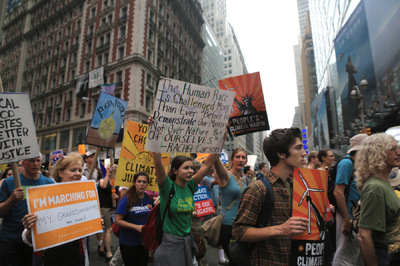 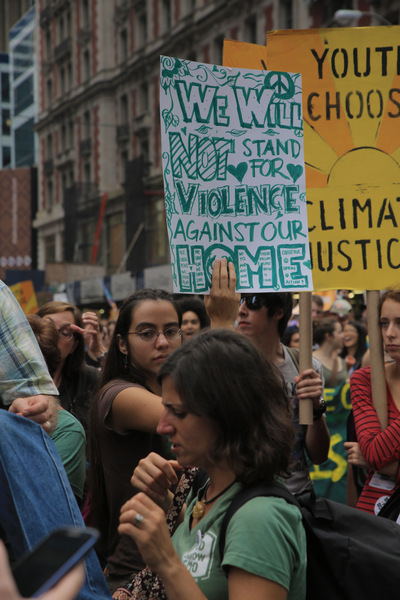 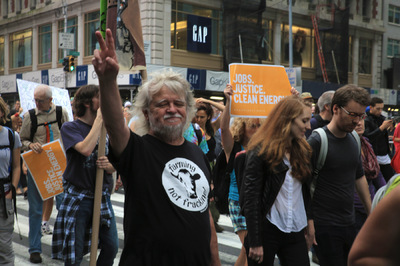 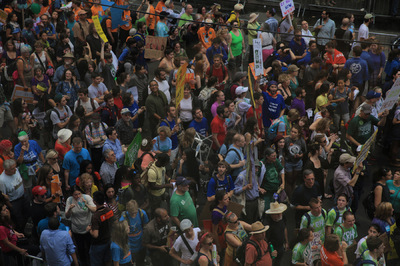 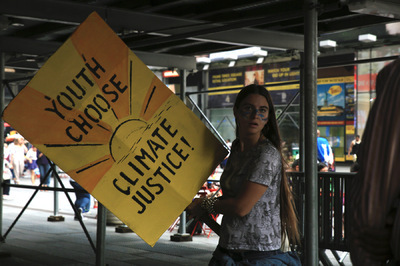 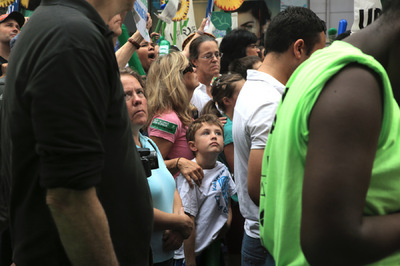 Vast numbers of individual citizens and groups, old and young, were all there to call for climate justice. 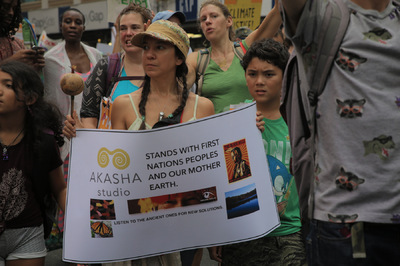 Their diversity represented nothing less than that of the human family at risk. 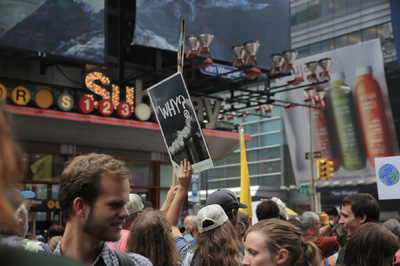 The crowd moved in huge waves, swelling in numbers throughout the day. 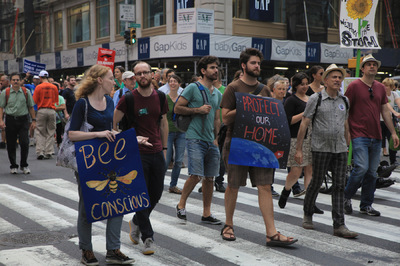 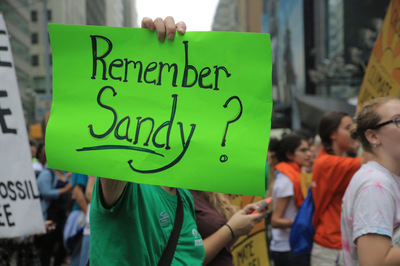 There were environmental groups, indigenous peoples, communities affected by Hurricane Sandy, beekeepers, Utah moms, students, scientists, nurses for people and the planet, families, individuals, unions and interfaith groups. 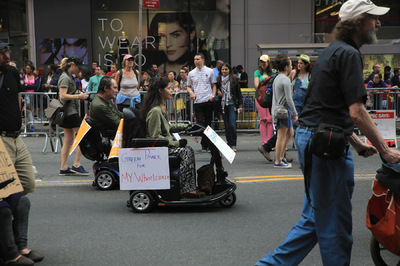 There were babies in carriages and people in wheelchairs. 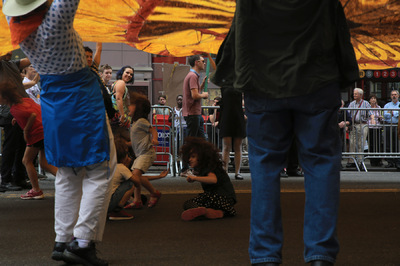 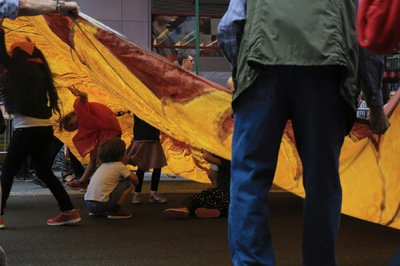 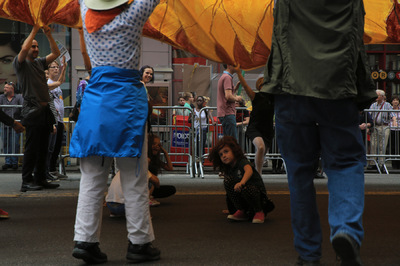 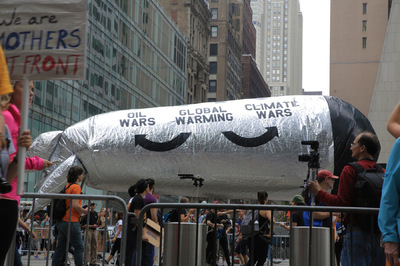 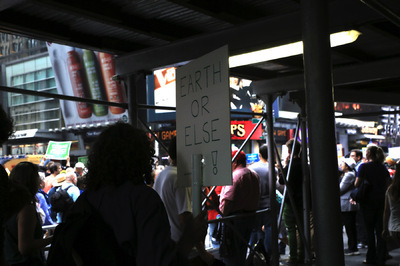 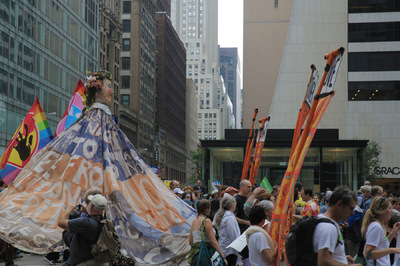 They carried banners, posters, huge puppets of Mother Earth, globes and other large inflatable forms. 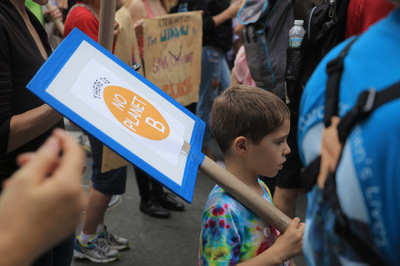 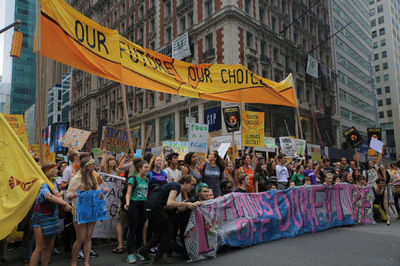 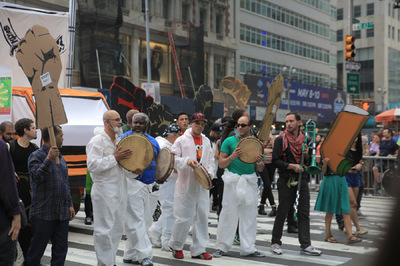 One poster said, “There Is No Planet B”, another “Jobs, Justice, Clean Energy.” Young people marched behind a banner that read, “Hands Off Our Future.” They sang, they chanted slogans, they played music and drums, they whistled and performed, and they showed tremendous kindness to one another. 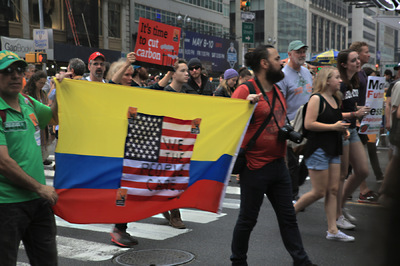 As the impressive march jammed into Times Square, slowed by their massive numbers—they halted and then stood in silence for several timeless moments. 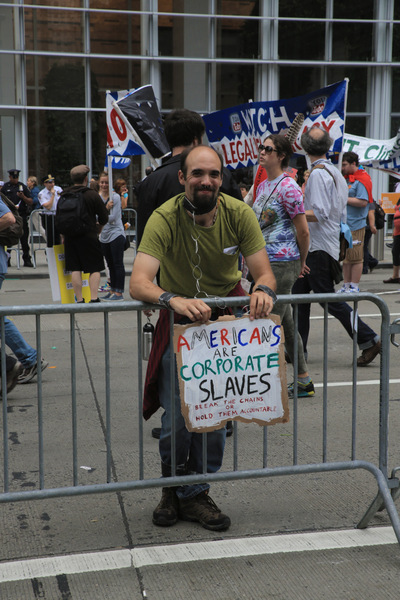 Each took back control over their individual body. 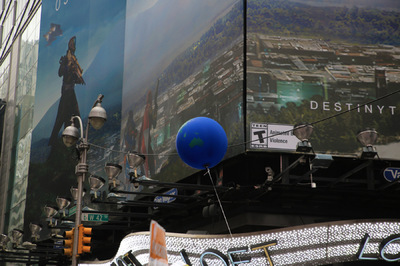 The horns and sirens of the city became distant. 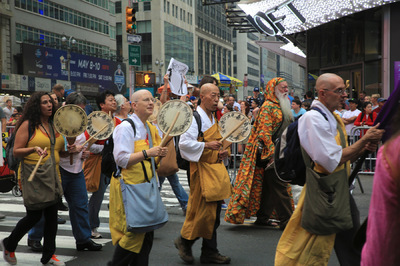 There was a presence of peace. 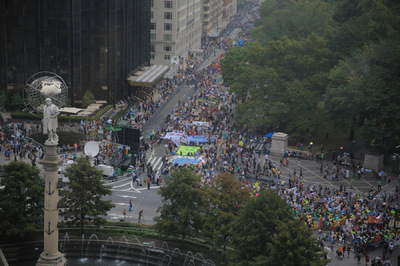 Then slowly, came the profound and powerful roar of the crowd, block after block, their voices echoed up the canyons of the city. 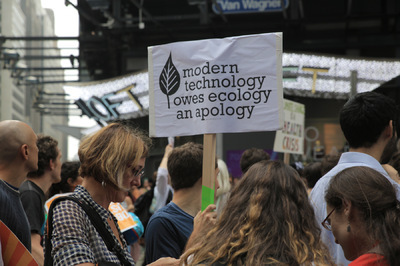 Below is a photo essay by Angela Juarez of The Massing Lab.